We are involved in offering Structural Hollow Sections that are available in varying specifications regarding size, dimension and material grade. These tubes are constructed using finest grades of stainless steel, duplex steel, alloy steel, nickel alloy and copper alloy. Provided at leading industry prices. 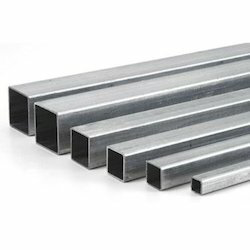 Square Pipes or Square Hollow Sections are made as “cold formed from hot-rolled and semi-bright (pickled hot / cold rolled) steel. 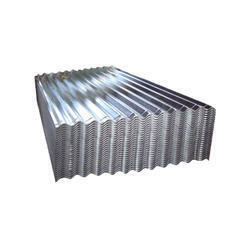 We are engaged in offering a very highly premium quality range of Stainless Steel Tabular Sections for Railway Coaches. We have a team of professionals, who have years of experience for the precise designing of these poles that enables us to meet the requirements of the clients. Limra Metals offer Special Shape Hollow Section in different dimensions, sizes and specifications. These sections are provided to our valued clients along with anti - rust oil coating from inside as well as outside to ensure quality and safe delivery. Heavy or structural sections are steel products such as angles, channels, beams or columns which are usually formed with a specific cross section shape e.g. H, I or U. Used to build large structures such as multi-storey buildings and bridges. JB Steel is one of the India's Leading Stockholder & Distributors of Hollow Sections. Heavy or structural sections are steel products such as beams or columns which are usually formed with a specific cross section shape e.g. H, I or U. Used to build large structures such as multi-storey buildings and bridges.